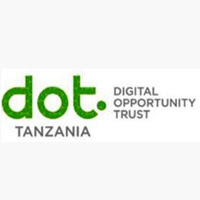 Digital Opportunity Trust (DOT) Tanzania is a leading international youth-led development organization with offices in Mikocheni, Dar es Salaam (www.tanzania.dotrust.org). ​Since 2012 DOT Tanzania has implemented projects to empower youth to become leaders of change in their communities through community work, entrepreneurship and application of technology. DOT Tanzania is currently implementing the Digital Livelihoods project that seeks to empower youth-led initiatives that have been derived from application of human-centered design, applies social innovation and are powered by technology. DOT has impacted lives of over 12,000 youths in the last 5 years, supporting a youth-led movement of daring social innovators who have the tools, knowledge, and networks to create opportunities and transform their own communities. DARE Enterprisers is a collaborative project that is implemented by Digital Opportunity Trust (DOT) Tanzania, University of Dar es Salaam Innovation and Entrepreneurship Centre (UDIEC), Cambridge Development Initiative (CDI) and AIESEC Tanzania. Dare Enterprisers is composed of two main components, “Dare to Change Tanzania” a six weeks training to social entrepreneurs and a “Tanzania Social Innovation Conference” where social entrepreneurs will pitch their business ideas. Dare to Change Tanzania encourages young graduate, individuals and groups committed in supporting Tanzania’s development initiatives through innovative social business models. Businesses formed during the programme have the opportunity to pitch to audiences of several hundred people and with a chance to receive seed capital for their ventures. We are seeking 40 daring social innovators from all corners of Tanzania to join the highly competitive Dare to Change Tanzania social innovation course that is set to take place at the University of Dar es Salaam form 23rd July to 5th September 2018. The competition will help turn the most innovative ideas into businesses that have sustainable social and development impact. It will support the winning solutions with cash prizes as seed funding, link the winning ideas with incubators and light mentoring scheme. Must be Tanzanian, between ages of 22-28. Bachelor’s Degree Graduates from an accredited universities, in any discipline. Must be energetic, innovative and with ability to collaborate with other learners. Must be a creative and daring social innovator who ready to tackle community challenges by creating businesses and jobs out of them. * DOT Tanzania is inclusive and therefore female applicants and people with disabilities are highly encouraged to apply for this opportunity. Youth will undergo 6 weeks blended face-to-face and online training, that has a hybrid of both DOT's youth leadership program (YLP) and dare enterprises curriculum. DOT brings added value from YLP with courses such as, project management, M&E, branding, gender, technology, all valuable skills for scaling up a 21st century enterprise. The program will be led by seasoned trainers from DOT Tanzania, University of Dar es Salaam, AIESEC International volunteers team, and peer leaders. DOT’s online learning platform which has more than 20 self-paced courses with certificates will also be leveraged. Dare to Change Tanzania 2018 recognizes innovative breakthroughs that unlock new Tanzanian potential in the following priority areas; manufacturing and service industry, water and sanitation, renewable energy, ICT’s, agriculture and agribusiness, education, as well as environment and sustainable fashion. Why you should be selected for this program.